A committee is to get to the bottom of it. Since Friday, new guidelines for helicopter rescue have been in force in Nepal, with which the government wants to prevent insurance fraud with “fake rescue flights” in the future. A “Tourist Search and Rescue Committee” will monitor all rescue operations. The committee includes representatives of the ministries of home and of health as well as of the Nepal Mountaineering Association (NMA), the Himalayan Rescue Association (HRA), the Civil Aviation Authority of Nepal (CAAN) and the tourist police. 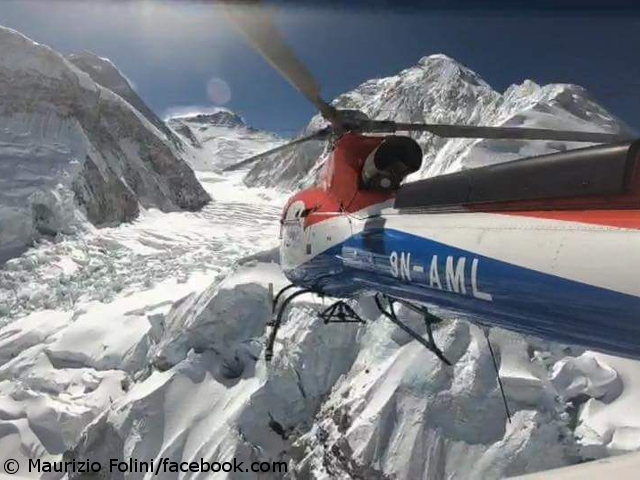 Helicopter companies, expedition and trekking agencies, hospitals and insurance companies are now obliged to provide all details of rescue flights and medical care as well as insurance invoices in a timely manner so that the committee can review them. In the event of irregularities, the committee is also responsible for punishing the black sheeps in the sector. The air is getting thinner for those in Nepal who feather their beds with fake rescue flights. According to the Kathmandu-based newspaper “The Himalayan Times”, international insurance companies have set an ultimatum until 1 September to put an end to these illegal activities. Otherwise, they no longer want to cover the costs of helicopter rescue flights. 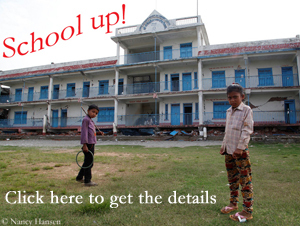 The Nepalese government plans to set up a police unit in the Tourism Ministry that is to manage all rescues. 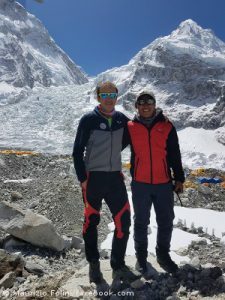 Lakpa Norbu Sherpa, who has been coordinating rescue on Mount Everest since 2003 as base camp manager of the Himalayan Rescue Association (HRA), is sceptical. “Police officers are no specialists”, tells me the 37-year-old, who was trained as a helicopter rescuer in Switzerland in 2012. Similar comments are made by Maurizio Folini: “The solution is not practicable. 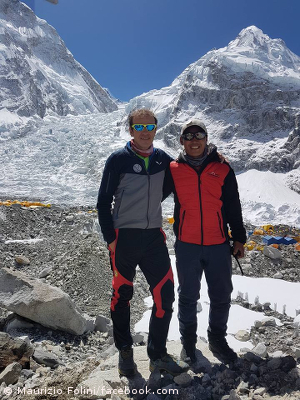 The police have no idea how to save people in the mountains.” The 53-year-old helicopter pilot from Italy is a pioneer for rescue flights on the eight-thousanders in Nepal. 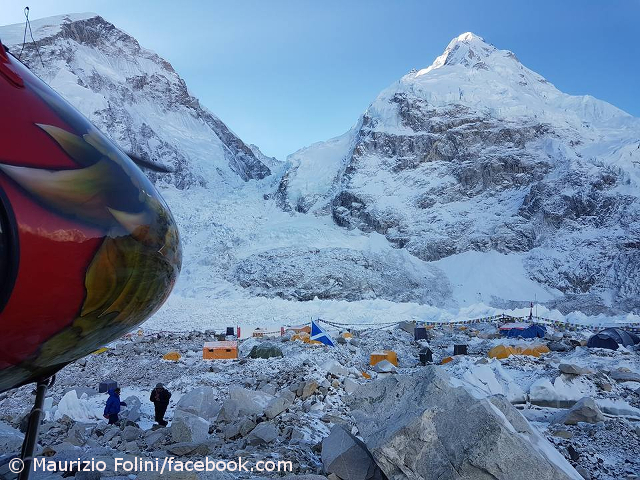 Since 2011 Folini has been flying regularly on the highest mountains in the world, in 2013 he managed the highest longline helicopter rescue of all time when he brought down a Nepalese climber from 7,800 meter on Everest.